So back in summer of 2014 Marc Marino hit me up one day and told me he wanted to ride to Los Angeles from San Francisco in 3 day.. he had a route that took us inland and away from the coast (HWY 1) and while the days would be long, we would just bring backpacks and stay in hotels so it would be “easy.” This was still very much a time when track bikes ruled everything around us so doing this on bikes with gears did seem like an “easy” ride. 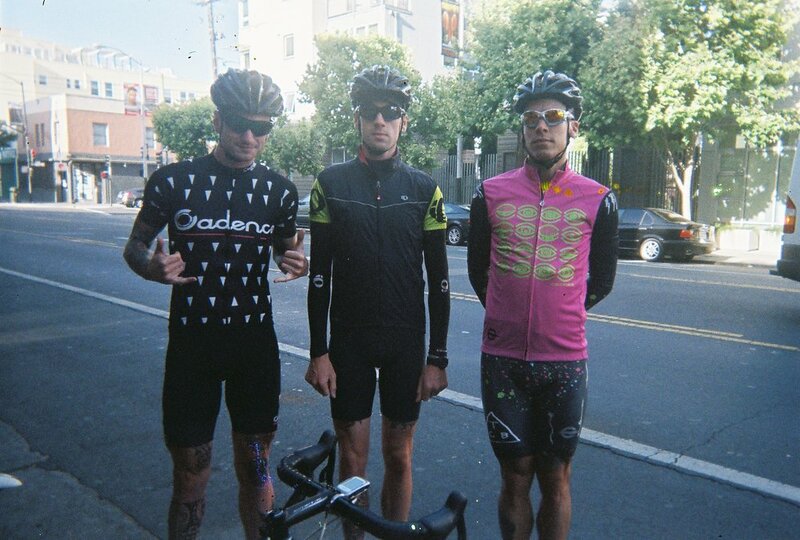 Keep in mind 3 years earlier Marc, Crihs, and I rode to Las Vegas from SF on track bikes with backpacks (well Crihs had sling bag for some reason) in 5 days, so yea this was gonna be an “easy” ride. The next morning we drug ourselves out of bed and proceeded across the parking to the Gas station/Macdonald’s combo to fuel up before the day ahead, gotta love desolate truck stops for their convenience. In our almost utter lack of planning we neglected to acknowledge that we planned on riding through the central valley of California in the summer time and it was already 83 degrees (Fahrenheit sorry this is a story set in America). So we set off into the blistering heat to ride Hwy 33 south along the coastal range. They call it The Oil Highway for good reason, when there wasn’t orchard there were oil derricks…and not much else. Once again our idea that there would be snacks along the way proved false, and our water consumption was much more than expected as we tried to beat the heat. This led to many initially awkward encounters at remote oil stations and huge corporate farms as 3 sweaty spandex clad dudes tried to fill their water bottle and explain their adventure to rough necks and migrant farm workers. None the less the day was ripping, a steady tail wind pushed out little pace line across the expansive wasteland. At that point none of us had much experience with a peloton, so we were blown away by our average speed of 29mph. We rolled into a small town called Taft as the sun was setting and without bothering with such formalities as checking into the hotel first, dove straight into the pool leaving a sheen of sweat and road dust floating behind us as we hunted down dinner. No we really were “almost there” after 138 miles Los Angeles was within our reach. If you are ever in Taft CA there a restaurant called Paik’s Ranch House that serves a chicken fried steak as big as your face.. well actually it’s probably bigger than your face and my face together. SO needless to say we (Marc and I) each ate one of those monstrosities in an effort to fuel our depleted bodies for the last push into LA. This final was hot, and then it got hotter as we climbed out of the central valley and over the the Los Padres forest to the coast. We all were pretty tapped out at this point and numerous snack stops were made when ever shade was found. Once we finally crested the mountains the crisp refreshing ocean breeze was like an elixir of life, reviving us for the final push. After so much time spent on desolate highways and back roads the heavy traffic on HWY 1 through Malibu was a shock. Rather than getting us down it energized us to start ripping as hard as we could, the iconic Santa Monica Pier sign our distant goal. Arriving after 140 miles just as the sun was setting, burnt to a crisp with empty fuel tanks we collapsed in the grass along side the beach bums and crust punks. SF to LA in three days.. on a “best guess” route, we had made it! Only to realize that we were staying in Silverlake, all the way across LA, let’s just say that tempers ran a little high until we stopped at a donut shop along the way and then all was well. As always LA welcomed us with open arms and after a huge meal we join the Golden Saddle crew at Smog Cutters (RIP) for as many beers and laughs as we could handle. Marc was in fine form until he fell asleep on the sidewalk, there may or may not have been a fight in the parking lot with some locals over something stupid, and Dave may or may not have almost been kicked out for eating all the snacks on the bar without drinking a single beer, a fine end to a long trip. The next day we hit a surplus store for some clean clothes for the drive home and our ever supportive friend Erica stuffed us into the back of her car, packed in the snacks and took us home, sunburnt and stoked. Trip total was 430 miles.. a lot of climbing I dunno exactly if you care look at the strava files. So really this was kind of a big thing for Dave Marc and I because we had always stuck to track bike tours before this, this was our first time going out with gears. It was also our first time having a predetermined route that wasn’t just following a main highway, new roads, way more out there, more adventure. This kind of opened a bunch of new doors for us as far as where we could go on a bike, getting off the beaten path a bit. So hopefully this will inspire you to get a few good friends, kind of plan a route, and just get out there and have an adventure. 4 people to a 2 bed hotel room, dinner at gas stations, re-routes, roll with the punches, keep moving even if it’s not forward, and above all search for stoke!